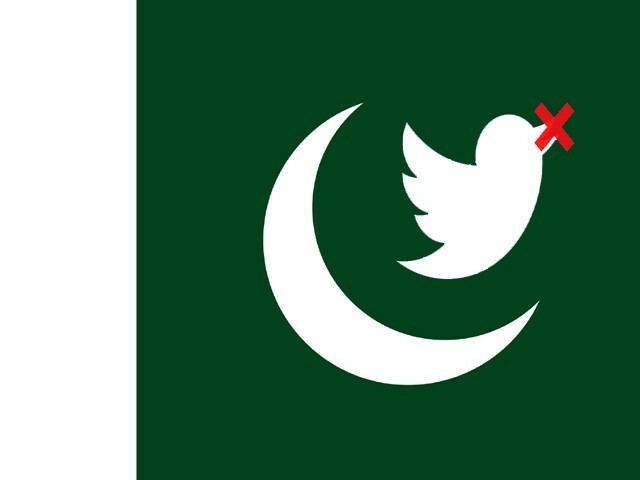 With more than four million Twitter users in Pakistan, it is shocking to say the least to hear whispers that it is on the verge of being banned in the country. The 280 characters provided by Twitter don’t seem like a lot of space to make a powerful statement. It sounds even smaller when nearly 6,000 tweets are tweeted per second, which corresponds to over 350,000 tweets per minute, 500 million tweets per day and around 200 billion tweets per year. But with 350 million monthly active users, every tweet has the potential to reach millions of people. That’s the very reason influencers, celebrities, and even governments turn to Twitter at important events. There is no media outlet or portal on earth with the reach and opportunity for a viral response as big or as effective as Twitter. It offers an opportunity to the masses to express their general opinion about matters which are usually under the realm of the select few. Twitter has also changed the media landscape and is now the go-to place for first-hand reporting of breaking news events. One spectacular example of this was when a Pakistani IT consultant named Athar inadvertently live-tweeted the raid in which al Qaeda leader Osama bin Laden was killed, approximately nine hours before the news hit the wires. Once the news broke, Athar (ironically) tweeted a response. Bin Laden is dead. I didn't kill him. Please let me sleep now. Twitter has also influenced how we see global leaders (such as President Donald Trump, for instance) and has become a powerful channel for digital diplomacy, authority and scandal. So when 14-year-old student Ahmed Mohamed was arrested for bringing the parts of a reassembled clock to school in a suitcase, it ignited an online debate about racial profiling and stereotypes in America. The arrest attracted overwhelming online support – with over 100,000 tweets featuring #IStandWithAhmed – and President Barack Obama responded with an invite to the White House. Some reports suggest PTA has given a final notice, with a 15-day deadline for the removal of objectionable material. However, in recent times, there has been a quiet yet serious and systematic assault on the right of expression and information under the pretext of “objectionable” material. No one really knows the scope or the purview of what exactly those objections are and what threats they pose to the country as a whole. After all, there has not been a clear policy statement from the state thus far. While there is a healthy debate taking place globally around the unchecked and unregulated channels of social media, banning a platform altogether is not the answer. Social media companies are under more pressure than ever to take some responsibility for what goes about on their platforms. Banning a certain site, on the other hand, will open the floodgates to wide-ranging injunctions. After all, such censorship depicts the insecurity of a country which deems its population to be the greatest threat against the status quo. Twitter is actively used by Pakistani politicians to reach out to the masses, with political debates having moved from just being part of TV Shows to full blown Twitter feuds. Be it Prime Minister Imran Khan with 8.37 million followers, Maryam Nawaz with 4.83 million followers, or Pakistan People’s Party Chairman Bilawal Bhutto Zardari with 2.86 million followers, their tweets not only become viral but are also shown on TV as breaking news. Even Pakistan Army’s Director-General Inter-Services Public Relations (DG ISPR) uses Twitter to periodically make statements and broadcast announcements. It was this platform that compelled the Chief Justice to take notice of Shah Hussain’s acquittal in Khadija Siddiqui’s stabbing case, and of course, Zainab Ansari’s case was brought up on Twitter, which led to #JusticeForZainab becoming a national issue. Not only is Imran one of the most followed leaders on Twitter; he is also one of the most active. It took a couple of hours to update his bio on Twitter from Chairman Pakistan Tehreek-e-Insaf (PTI) to Prime Minister of Pakistan after he was sworn in. His party overall has a very active presence on Twitter, which played a vital role in their election campaign earlier this year. Even in his inaugural address to the nation, Imran highlighted the importance of social media while unveiling the plans of his new government, urging the nation to play a proactive role and keep a check on governance through social media. It is clearly evident how important a role the platform plays in the political and social discourse taking place in Pakistan today. We cannot keep a check on governance while experiencing the worst censorship through a ban on Twitter. One can truly hope that PTI’s new government would address this problem in a better way than knee-jerk blackouts and curtains over our freedom of speech. After all, the least conventional and old school policymakers should do is respect the dynamics of the era of the millennials, of which Twitter is the flag-bearer.